Customize gooseneck lighting online starting with the 16" Warehouse Shade. Featured here on a 37 1/2"L arm, this commercial-grade gooseneck fixture is a powerful outdoor light. Use to illuminate signage, awnings and building exteriors, choosing desired custom features to accommodate each unique design project. Goosenecks are made from quality-grade aluminum with rust resistant powder coated finishes. Choose from 25 attractive shades; 5 available at no additional cost. All parts are powder coated to match, except for the inside of shades which are left white for max luminosity. 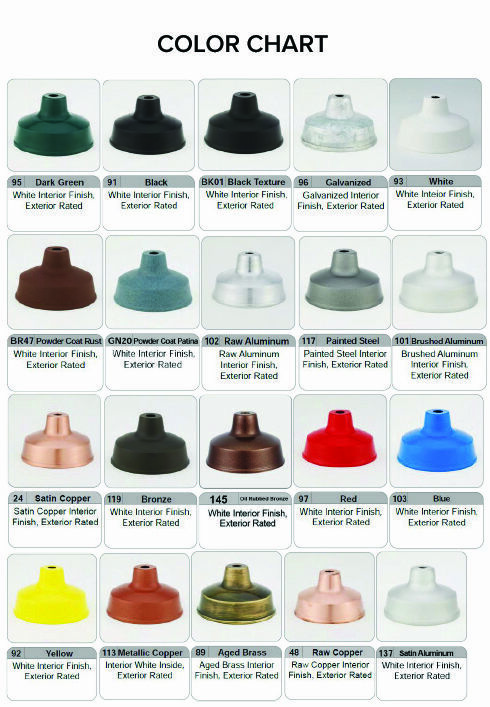 Commercial outdoor lighting online comes with standard incandescent lamping. For upgrades to CF, LED or HID lamping, please call toll free for details and a price quote. Back plates are designed to mount to any standard 4" junction box; please note ballasting may vary for non-incandescent configurations.